2012 will be our foureth annual celebration of the art of making people laugh. The 2011 content of this web site will remain live for some time until we have more news of the next Festival - feel free to browse the different sections including the archived news items at the foot of this page, and the Press Coverage page etc. Throughout the year, Festival Director Nick Steel will be producing more quality comedy shows. Sign up to the e-mailing list to be kept informed. A one-off performance of Henning's Christmas show! 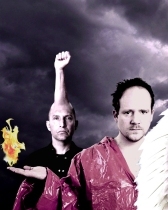 A chance to catch Henning's new stand-up show and Christmas special outside London! 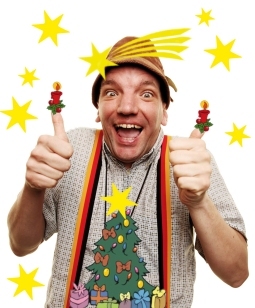 Join German Comedy Ambassador Henning Wehn for this meticulously planned and perfectly executed German Christmas Do. In addition to his current stand-up show No Surrender there will be renditions of Germany's most favourite Christmas carols such as 'Oh Tannenbaum', 'Stille Nacht heilige Nacht', and 'Klingglöckchen klingelingelingelingelingeling'. He has ways of making you laugh. And sing! NB: This show is a guaranteed success. Either it will be funny or Henning will live up to the national stereotype. It's a win-win situation. Wunderbar! For those that don't know, Bill Smarme is an entertainer of international standing, a ladies' man (apparently), and bon viveur. The band will embark on an off-beat and often hilarious musical odyssey; Nashville, tribute rock, pop, and easy-listening schmaltz all receive the Smarme treatment. Bill also runs his own successful building firm Smarmerection (Building for Nobs). See him after the show to find out how you can have that dream extension. Festival Director Nick Steel is producing two quality comedy shows during this year's Bath Fringe Festival! Sausages, sauerkraut and Teutonic jolliness with Germany's comedy ambassador! 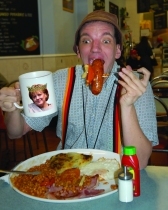 Enjoy a German style lunch at Woods Restaurant and a new show from acclaimed comedian Henning Wehn. Cumbernauld, Cockermouth, Croydon…life as German Comedy Ambassador to the United Kingdom is far from glamorous. In fact, it is a right old struggle. But Henning Wehn makes it look easy. Join him for exactly one hour of meticulously planned and perfectly executed Teutonic jolliness, covering topics as diverse as football and the war. Reservations: Telephone Woods Restaurant on 01225 314812 between 10am and 10pm. Capacity is limited so be sure to book early. There is no online booking available for this event. Vegetarian option available - you need to specify when booking. Licenced bar including German beer available. Double bill of Tom Binns' greatest character creations! A chance to see both of Tom's smash hit Edinburgh shows in one evening! 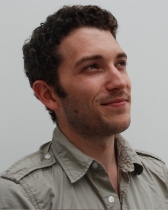 Plus support from Bath Comedy Festival 2011 New Act Competition finalist Alex Clissold-Jones. See the press coverage page for interviews, features and reviews from the press. 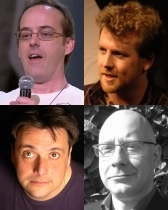 We asked some of the comedians performing at Bath Comedy Festival to answer ten questions in 60 seconds...Read their answers on our Interviews page. 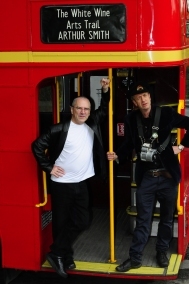 Award-winning stand-up Arthur Smith acted as conductor on board a vintage Routemaster double decker bus as it journeyed around Bath taking 50 passengers and live comic theatre on the road for an interactive show entitled the 'White Wine Arts Trail'. The show was hosted by outrageous art critic Ralph le Bonbon aka Ralph Oswick from the Bath-based Natural Theatre Company. A photo gallery will be available here after the festival. Friday sees a whole host of sketch comedy with - as recommended by Jo Caulfield - a double bill of Edinburgh Fringe smash hits Pros from Dover and The Real MacGuffins at Widcombe Social Club, plus Intimate Strangers at the Mission Theatre. 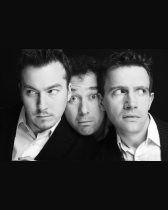 On Saturday the Balkan comedians will be in Widcombe (see below) - bound to be a fascinating show as this is a UK first appearance for most of the comics. Elsewhere on Saturday there's the New Act Competition Final at Chapel Arts, old timer Phil Cool at the Rondo and Arnold Letinov riding in to the St James Wine Vaults. On Sunday evening you have a choice of shows to close the Festival including Sal Monello's Hit List at Chapel Arts, and at Komedia a West Country Comedy Gala hosted by Mark Olver and starring some of the best comedians from the area including Jon Richardson, Jared Hardy, John Robins and others not necessarily beginning with J. The Gala is in aid of the charity Cots for Tots which is raising money for a new neonatal intensive care suite at St Michael's Hospital in Bristol. Four of the top comedians from the former Yugoslavia are to perform at Bath Comedy Festival! Festival Director Nick Steel said: "This Festival is a very exciting opportunity to see some truly international talent, not least in the form of the Balkan comedians - top people from Serbia, Slovenia, Bosnia and Croatia - and I'm really pleased to showcase them as part of Bath International Comedy Festival". "Stand up comedy as such is currently leaving its infancy phase in the Balkans. There are only few clubs in the region of former Yugoslavia, nevertheless the number of comedians is rapidly growing as well as the scene itself." "The people who are coming to perform in Bath are leaders of cross-border co-operation, something that was only several years ago practically unimaginable. Then again, so was performing in English - these things change!" For more information including biographies of these exciting performers see the Press Releases page. Show information and booking details can be found by clicking here. Komedia are offering free entry to their brand new club night ipop for anyone with a valid Bath Comedy Festival ticket. The offer also applies to the Motorcity club nights on Saturdays too. ipop - Komedia's brand new club night - a non-stop shuffle of the biggest pop & party anthems! Every Friday of the month. Doors: 11pm. Tickets for some shows are available from Brown Paper Tickets - a fair trade ticketing company who give the best deal for online booking - click on their logo when you see it to book online. Our stunning printed programme is available now at a venue near you! Look out for them in pubs and cafés around town. You can also pick up a programme from Bath Box Office in Abbey Green, or from the Tourist Information Centre in Abbey Church Yard. There's a great choice of events during the week - Tuesday sees Mark Olver's award-winning show "Olver: Portrait of a Serial Killer" at Widcombe Social Club, and Boothby Graffoe at the Rondo, as well as another heat of the New Act Competition at the Comedy Cavern plus the two comedy walks, Bizarre Bath and Jane Austen's Bath Time. 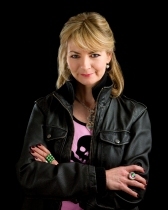 On Wednesday Jo Caulfield is in town - there are still some tickets left to be snapped up - get one quick to catch her show at the Widcombe Social Club. 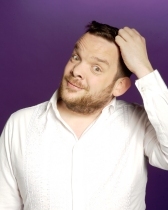 Miles Jupp at the Rondo is sold out, but there are more hopeful New Acts and the comedy walks as well. 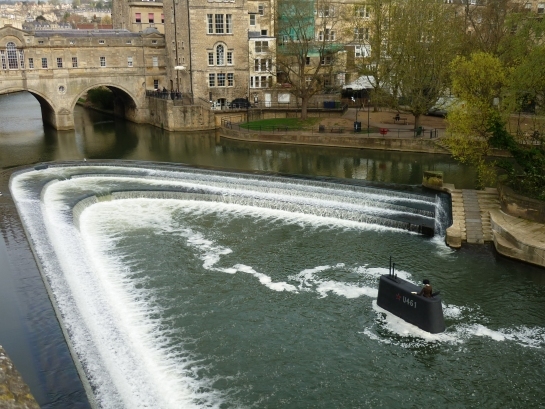 Commuters and shoppers in Bath thought they were seeing things when they noticed an unusual site in Pulteney Weir under the famous bridge in the City Centre - a Russian submarine! 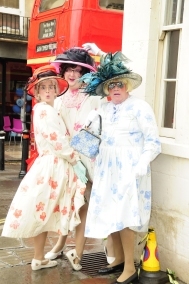 Festival Director, Nick Steel said: "Now it is 12 noon I can reveal that it is not actually a Russian invasion, but an April Fool, a Trojan effort by anonymous comrades of the Festival, which coincides with the launch of the Bath Comedy Festival – running from Friday 1st April to Sunday 10th April. It has certainly created a buzz in the City." The Festival really kicks off tonight with the April Fools' Stand-up Showcase featuring star of BBC Three's 'Ideal' Seymour Mace, TV and Film star turned stand-up Toby Longworth who is originally from Bath plus two of Scotland's stars, Alan Francis and Neil MacFarlane. Tickets are still available for £10, doors open at 7.30pm. Yes, the Festival starts in earnest on Friday 1st April with a host of great comedy events. At lunchtime on Friday the Comedy Academy are in town - look out for Roaming Romans, Street Theatre and Flash Mob Moments courtesy of Bath Spa Univeristy. There is a merry choice in the evening including Drift Snowbarger at Chapel Arts Centre, improvised comedy troupe Instant Wit at the Rondo, Krater at Komedia starring Alastair Barrie and the April Fools' Stand-up Showcase at Widcombe Social Club, which features four great comedians, plus Bizarre Bath comedy walk starting at The Huntsman and the Raising a Laugh for Charity Ball at the Pump Rooms & Roman Baths. 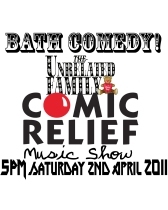 Stop Press: On Saturday at James Wine Vaults there is a Comic Relief Music Show with The Unrelated Family, starting at 5pm - all donations go to Comic Relief. There's still chance for you to learn how to be a stand-up comedian with Tony Allen in the Attitude workshop, also at St James Wine Vaults. Tom Wrigglesworth is at the Rondo on Saturday and Krater headliner is Alastair Barrie. Don't forget you can go to Komedia's club nights on Friday and Saturday for free if you show any valid Bath Comedy Festival ticket from the day! See the what's on section for full details. 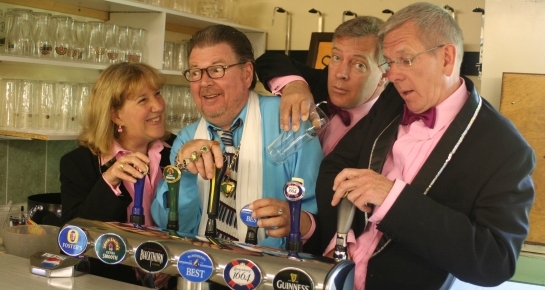 We are delighted to announce that family brewery Fuller's are to sponsor Bath Comedy Festival. Fuller's have had links with Bath for nearly two centuries, and some of the malts for their beers are grown on the Neston Park estate just outside the city. Best known for London Pride ale, they also make Organic Honey Dew beer. Richard Fuller, a member of the family and the brewery's sales director, said: "We are very proud to be associated with such a progressive and well-loved event as the Bath Comedy Festival." "Fuller's has gradually been moving to the west over a number of years and it's good that we can cement the brewery's historic roots in the area with this great sponsorship, while allowing comedy lovers to enjoy a pint of Honey Dew and a laugh at the same time." Read the full story on the Press releases page. Event news - please note Miles Jupp and The White Wine Arts Trail have SOLD OUT. There are plenty of other exciting and unique events still on offer, including an interesting film about Malcolm Hardee at the Little Theatre Cinema, which Simon Munnery will be introducing with reminiscences about the famous Tunnel Club and Malcolm's antics. Your chance to learn from a master of stand-up is the Attitude workshop at St James Wine Vaults with Tony Allen. If you can't wait til the Festival starts, the Rondo has some pre-festival fun with Troy Boy showing on Wed 30th and Thurs 31st March. Also on both those days you can see the starting heats of the New Act Competition at the Porter Pub 's Comedy Cavern..
Last year's winner and runner up can be seen at Sal Monello's Hit List at Chapel Arts Centre on Sunday 10th April. For full details of these and all other events see the what's on section. For Sponsors, there are some exciting and rewarding small to large scale opportunities – why not talk to us about what we can do to promote your business in association with the Festival. Volunteers are required for jobs such as stewarding and programme distribution. Email volunteer@bathcomedy.com to register your interest. 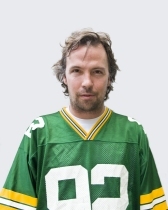 Festival Director Nick Steel has announced that the sensational US comedian Doug Stanhope will be appearing at Bath Pavilion for one night only on Sunday 3rd April. For full details of all these events and more, check the What's On page for the latest line-up. Programming for April's Festival is gathering pace, with several fabulous acts already confirmed. The Festival will present a star-studded line-up at Widcombe Social Club, starting with an opening night of stand-up comedy and a week of shows from a variety of stars as diverse as Jo Caulfield and Sid Kipper. Fans of Festival favourite Arthur Smith will be pleased to hear that he'll be returning for a very special event – watch this space..! Other venues across town are also gearing up; The Rondo will host the likes of Boothby Graffoe and the irrepressible Scottish Falsetto Sock Puppet Theatre. The New Act Competition will once again be run by Bath's own Geoff Whiting, with several heats during the week and a grand final at Chapel Arts Centre. On the street, Natural Theatre Company will be showcasing some brand new scenarios, and students of comedy from Bath Spa University are expected to be showing off their skills too, not least at the B&NES Chairman's Ball at the Roman Baths & Pump Room. 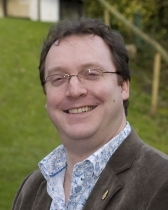 Widcombe based promoter Nick Steel has taken over as Director of Bath Comedy Festival. Nick is delighted to have taken on the role and says "Although this is only the third year, I am happy to report that support for the Festival continues to build from a lot of directions. 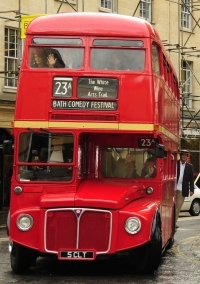 The aim remains to make the Bath Comedy Festival one of the very best in the UK and I'm looking forward to developing the Festival into a unique and special event over the coming years"
© Copyright 2011 Bath International Comedy Festival Limited. All rights reserved.